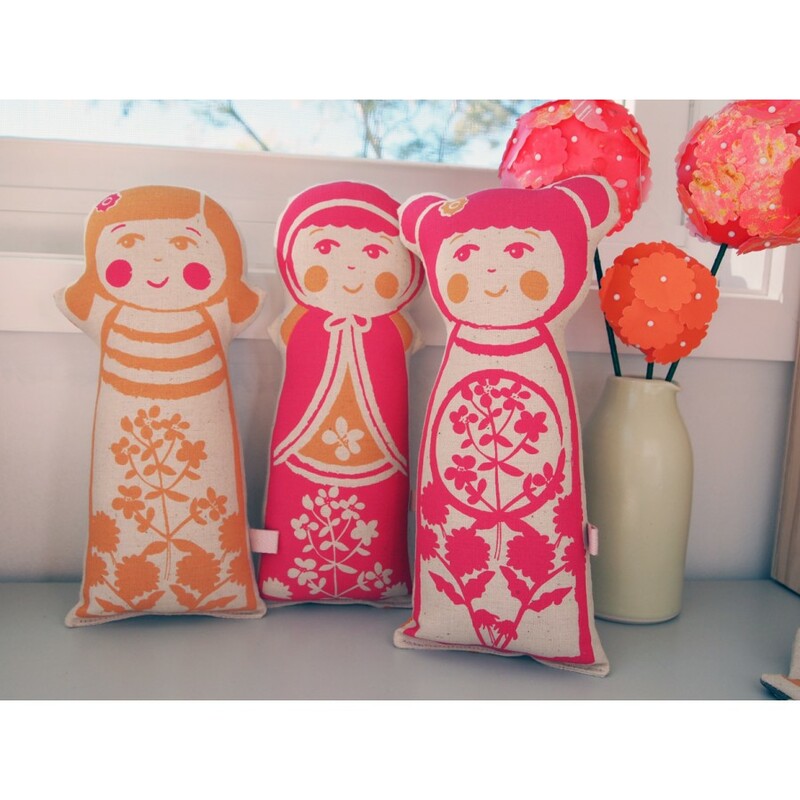 Kristen Doran's beautiful and sophisticated, limited edition kokeshi doll design is hand screen printed in Sydney, Australia on Organic GOTS certified organic hemp. 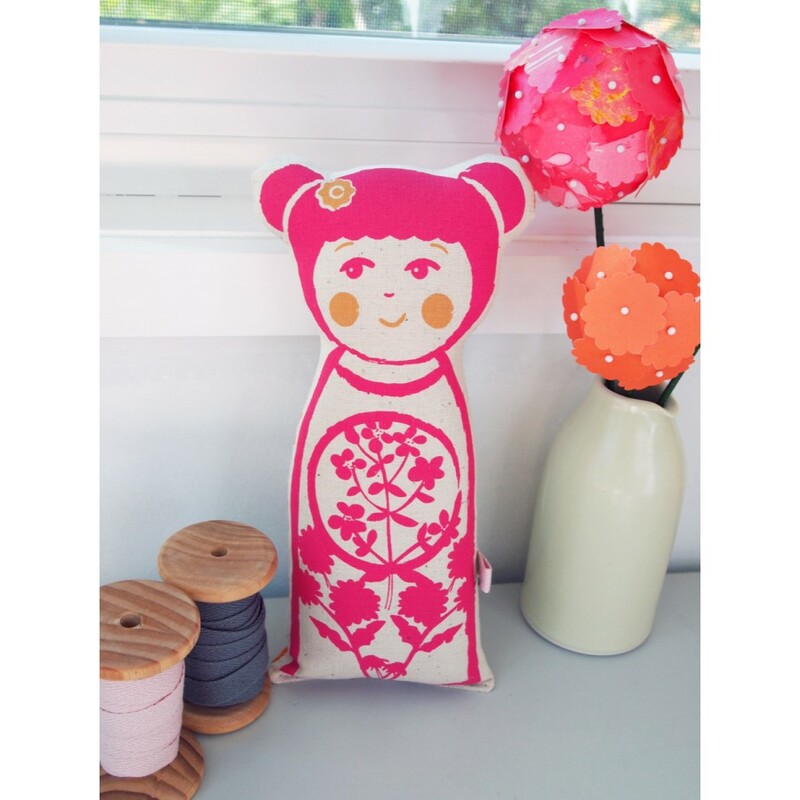 Each fabric panel includes, 3 larger kokeshi dolls in lolly pink and orange (there are 2 of each doll style on the panel, totalling 6 kokeshi dolls per panel). 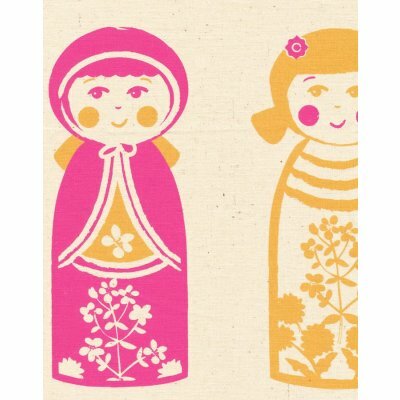 Each doll is approx 24 cm high. 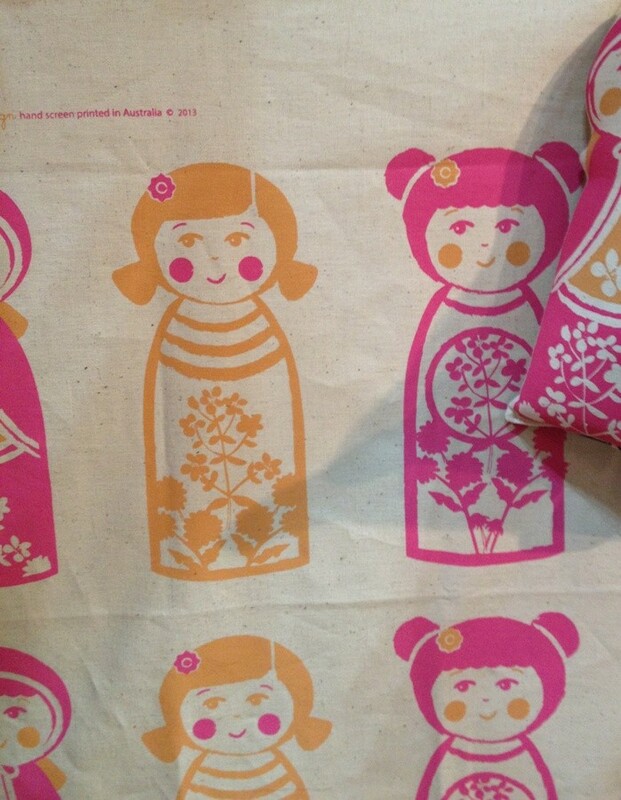 Perfect for small and varied craft projects such as dolls, bags, purses, quilt panels, appliques, and cushions etc. 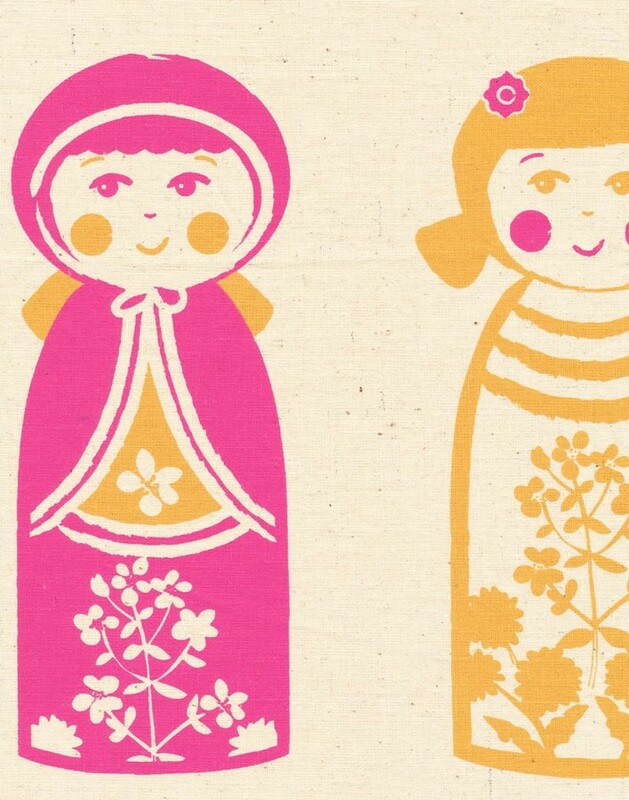 An easy beginners sewing project! Basecloth Printed on ethically sourced organic cotton/hemp. 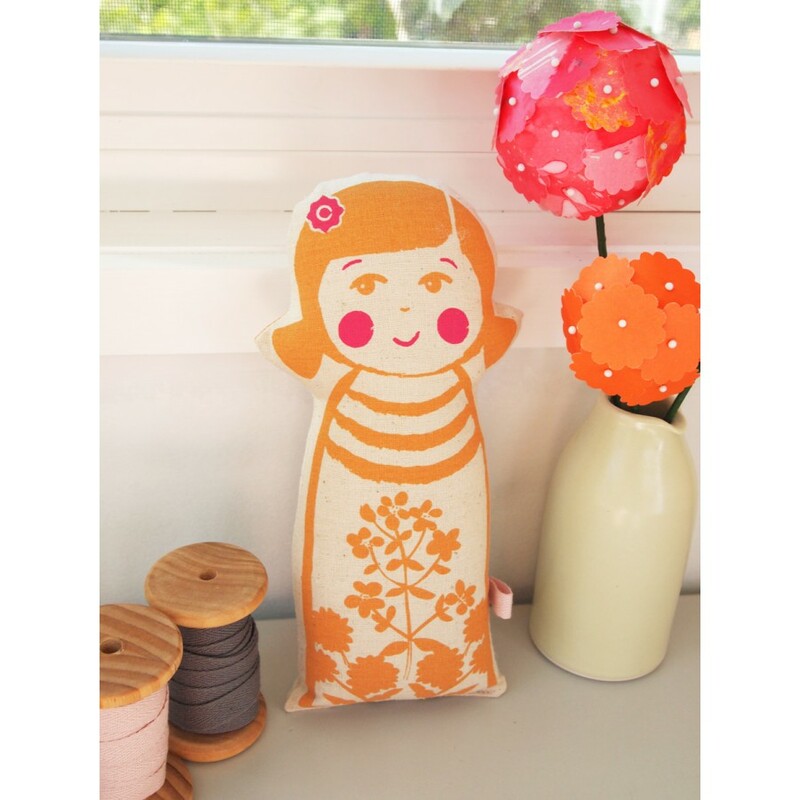 Motif Size Each doll is approx 24cm high. More info Click on main product to view slideshow and inspiration images for this craft panel.